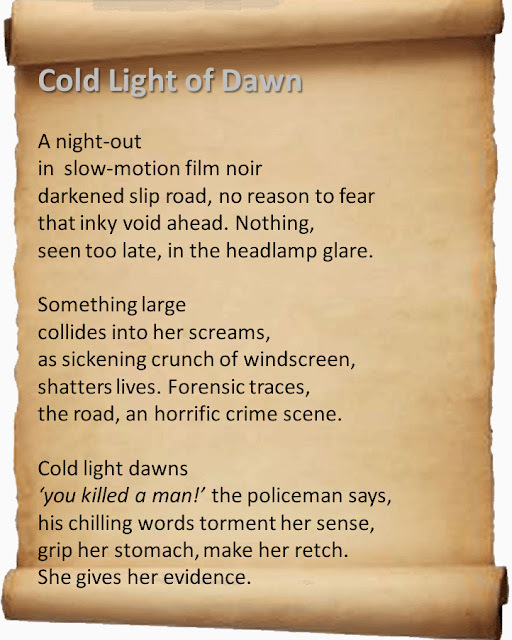 Horror Poetry ~ Ever tried it? about a worse nightmare scenario? This poem is based on a programme I saw last year (Season 10 Episode 5) where Traffic Cops investigate an apparent hit and run of a cyclist on an empty, unlit motorway slip road. And more library windows would shatter. She had grown over seven feet tall.